It always seems a bit odd to me to be talking about fall and winter gardens when we are still very much into late summer, but “fall is in the air” and now is the time to make some changes in our containers and plant some fall veggies while the soils are still warm and conducive to good root growth. It’s also a perfect time to plunge some new shrubs and evergreen perennials into our beds that will provide visual interest over the next 6 to 7 months. And by all means, don’t forget to plop some spring blooming bulbs in the ground this month - come January or February you will be glad you did. 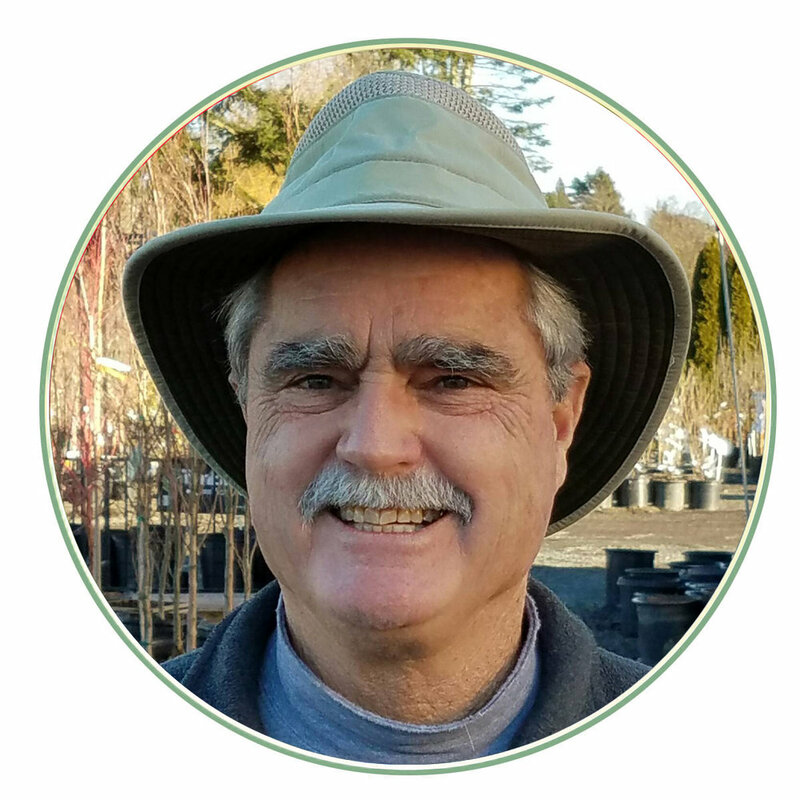 For anyone who has followed my columns over the years, you will recognize the following mantra: “If you want year ‘round interest in your garden then you need to go to the garden center once a month and buy something that looks interesting.” You don’t have to spend a boat load of money, just buy something that catches your eye. If you do this every month for 12 months then you will have year ‘round interest. It is that simple! I realize of course that it will take some finessing and planning to work these monthly purchases into your garden design, but with a little “organizing” it can be done with relative ease. And always remember that plants can be moved and rearranged as the garden evolves. Other than trees, the garden is a fluid composition that can be adjusted and reassembled throughout the years. NOTHING IS PERMANENT! As we move into the fall and winter season, the focus moves from flowers to leaves, twigs, berries and bark. Yes, there are plants that bloom in the winter in the northwest, but for the best bang for your buck we need to think about the other parts of plants. Fall color may be fleeting, but nevertheless it is still a short season of interest that is well worth planning for. Fall color in the northwest can’t begin to hold a candle to the New England states, but when the weather cooperates it can be pretty spectacular. Burning bushes, Japanese Maples, sumacs, big leaf maples, vine maples, choke berries, red maples, oaks, Katsura, Oxydendrons, Raywood ash and many more shrubs and trees have incredible fall color. Crab apples, pyracantha, cotoneaster, euonymus, snow berry, and beauty berry have fabulous berries. Paper bark maple, white birch, nine bark, euonymus, Sweetgum, Stewartia, and coral bark maple all have interesting bark throughout the entire winter. The whole point here is that there is a wide variety of plant material to choose from to add fall and winter interest to our gardens. Other than sheer laziness, there is no excuse for a boring yard in the fall and winter seasons. In addition to the above shrubs and trees, there is a wide range of evergreen perennials, ornamental grasses, and dwarf conifers that combine stunningly into winter hardy containers. Even with a moderate frost, these plants will soldier on throughout the entire winter and one of the exciting features I like about winter containers is that I don’t have to worry about what wants sun and what wants shade - they can all be combined together and will do just fine. Come spring, just remove them from the container and plant them in their appropriate places in the garden. Here are three recipes my head grower has created for winter containers that are sure to delight your senses all season long. Come check them out the next time you are in the area. 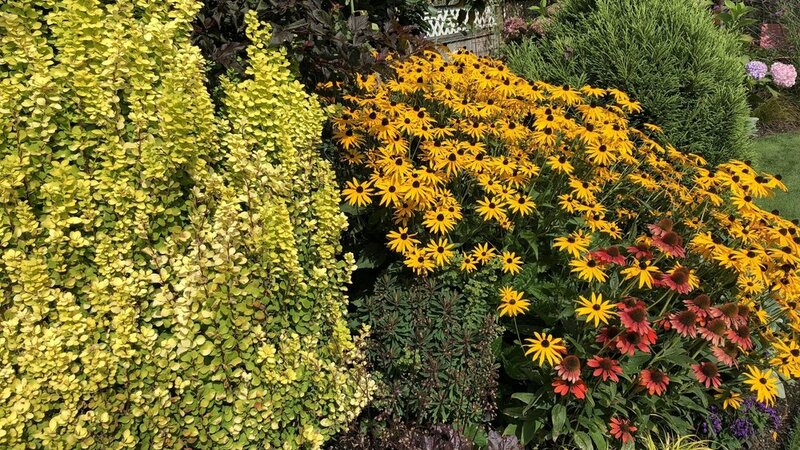 To any of the above containers you can also add the following trailers: Wojo’s Gem Euonymus, Illumination Vinca, Lemon Frost Lamium, Decorative ivies (such as White Mein Herz, Needlepoint, Glacier, Yellow Ripple) or Lysimachia Walk About Sunset or Angelina Sedum. For color, don’t forget those bulletproof pansies and violas. I have seen them freeze solid, but once thawed they never skip a beat with blooms all winter long. And finally, here’s a little trick savvy gardeners like to do: plunge in a few surprise bulbs underneath everything (they will find a way up when the time is ready) for color starting as early as January or February. Our winters are long and dark enough without having to look out onto a boring yard with empty containers. Make this fall the year you take advantage of our mild winters and create some fall and winter interest.